Image reads: It’s pretty easy for us to get out of sync with our surroundings. We can find ourselves out of our personal element at a moment’s notice, just by taking a wrong turn in an unfamiliar locale. Take a left instead of a right, and you can find yourself in a hostile situation, facing off with someone who’s armed and dangerous. You can actually end up dead – whether in the city, the country, or the suburbs. Or you can find your entire way of life displaced by events beyond your control – market downturns, corporate mergers, even war. Whatever the scope, whatever the scale, the disorientation is intimidating. Destabilizing. Scary. Even in the most stable of unfamiliar circumstances – surrounded by friendly (but unfamiliar) co-workers at a new job – the conditions are less than ideal. So, the Facebook drama continues. Like countless people (I’m sure the number keeps changing), I downloaded my data and took a quick look earlier today. Hm. Pretty boring, actually. I don’t use Messenger that much, and I don’t have an Android phone, so that’s been a bit prophylactic. I’ve been in the web space for over 20 years, and from the start, I’ve been skeptical about the ability of anyone to keep me safe online. Safe from others. Safe from myself. Safe for others. So, I’ve self-censored considerably over the years. I hear a chorus of dismay rising up — Censor yourself?! How horrible! It seems, at times, that total freedom is the goal of our modern world, and that’s fine for everybody else. But seriously, this place is full of people who wish others less-than-well, and that’s as true online as it is offline, so caveat emptor. For days. Yeah, I’ve censored myself. And the result is that I haven’t been rocked by the shock waves of indignation that lots of other people feel. Either that, or I’m not being pessimistic enough about how creatively data scrapers can use my PII against me. But I digress. This isn’t really about me, after all. It’s more about us. Our need to connect, to stay connected. Our fear of missing out and getting disconnected. We all know just how easy it is to get cut off from our social circles. Sometimes, all it takes is a wrong word, a misspoken opinion, or even a look that gets taken the wrong way. You wear the wrong piece of clothing in the wrong season, and you’re a marked person. Things seem to have loosened up around the “no white before Memorial Day or after Labor Day” rule that was etched in stone during my childhood, but you know what I mean. You know as well as I do, the feel of that internal cringe, when something comes out wrong, or somebody doesn’t respond to you the way you’d hoped. You mis-hear what someone else says and/or they misinterpret your response. And before you know it, you’ve got Problems. Those Problems are very real, for they’re all wrapped up in the whole of our identities, our sense of safety and belonging in the world, as well as our definitions of what will and will not keep us safe. Those Problems can go so far as to get you beaten up. Even killed, if you’re in the wrong situation. It’s easier than ever, these days, to end up in the wrong part of town, and pay for it. I’m not just talking about White folks in Black or Hispanic neighborhoods, or Black men driving through predominantly White neighborhoods. I’m talking about University of Georgia fans speaking out of turn in an Auburn sports bar — I once had an extended conversation with a woman whose husband had to be hustled out the back door of such a bar after having a few beers and running his mouth against his wife’s advice. I’m talking about somebody losing their filter while they’re in the middle of political opposites and ending up with their car keyed. Say the wrong thing in the wrong way at work, and you can get shown the door. And there goes your monthly credit card payment, toppling your credit rating, as well as your future job prospects (since many employers run credit reports on prospective new hires). A poorly timed joke can turn from a pebble dropped in a pond to an earthquake that sets off a tsunami. Or the wrong piece of information can leak to the Wall Street Journal, and before you know it, your employer’s in full “spin mode” and you have to watch what you say to anyone and everyone, since you’re a walking, talking representative of the company. Sheesh, how did we get to this place? I mean, people can get seriously hurt over things that used to just elicit eye rolls and shrugs. Ah… simpler times. I remember those days when you could detest other people (and vice versa) without homicide being in the mix. I remember when an honest misunderstanding wouldn’t push a person to social-media-fueled suicide. Apparently, I’m a dinosaur. Like I said, simpler times. Lord, how did this all get so … dire? But here’s the thing, though. In spite of it all, I still have hope. If we got to this place, we can extract ourselves from it. I really, truly believe that. Life is cyclical. Pretty much everything alive moves in patterns of back-and-forth vacillations. And I believe with every cell in my body, we have the capacity to back away from the brink, just as we’ve danced along its edge, over and over and over again, throughout the course of human history. We’re just learning a sh*t-ton of tough lessons, right now, absorbing an array and variety of data points in massive volumes that never, ever factored into the mix, before. The Way Things Have Always Been Done… well, that’s sorta kinda imploded/exploded, and we’re left picking up the pieces that fell closest to us, trying to fit them into a cohesive narrative about our world. So, where was I…? Oh, yeah, how easy it is to get out of sync. And how absurd that is. In Beloved Distance, I talk a lot about meaning… the patterns we use to figure out how what’s happened fits into our understanding of the world, as well as where events are going to take us… and how. While I was absorbed in my meditations on meaning, last year, I coincidentally happened across a lot of writing about the “absurd” state of the human condition immediately after World War II. Samuel Beckett. Albert Camus. Václav Havel. Existentialism. You know… light reading. And it occurred to me that absurdity — the quality or state of being ridiculous or wildly unreasonable — could be seen as the quality or state of lacking meaning. After all, we rely on meaning to reason. We rely on our sense of meaning to establish balance and predictability. And our understanding of which causes lead to which effects (and why) makes it possible for us to stabilize ourselves in a confusing and disorienting world. When we lose meaning — lose the plot, lose touch with the overarching patterns — everything starts to look ridiculous and unreasonable. Which is where Europe was after World War II with the rise of authoritarian states, and all the upheaval of the Cold War. The old monarchy and Order of Things … well, that was history. Literally. There were no clear patterns ahead, there were no circumstances that could reliably point to predictable outcomes. Everything was impossible to fathom, in a historical sense, because it was all new… and unexpected. That, I feel, is where we are now — in the same kind of situation. Past patterns can’t be relied upon, because we’ve never had conditions like this: The Internet. Facebook (and everybody else) collecting data on a vast scale. Defense contractors deploying information warfare techniques against the civilian population in service to political interests. I’m not sure we’ve ever been here before. And yes, it is absurd. In the midst of it all, perhaps the most absurd aspect of it, is how disconnected we are, even as we are hyperconnected technologically. We have the means to bridge gaps, to find belonging, to become a part of something larger than ourselves, and yet… we don’t. Maybe our human natures haven’t quite caught up with our capabilities. Well, yeah. They really haven’t yet. And so we miss out on a whole lot of opportunities to make more of ourselves and our situation than what it’s been. It’s like we’re not at all the macro equivalent of the billions of interconnected cells in our brains, in our bodies. 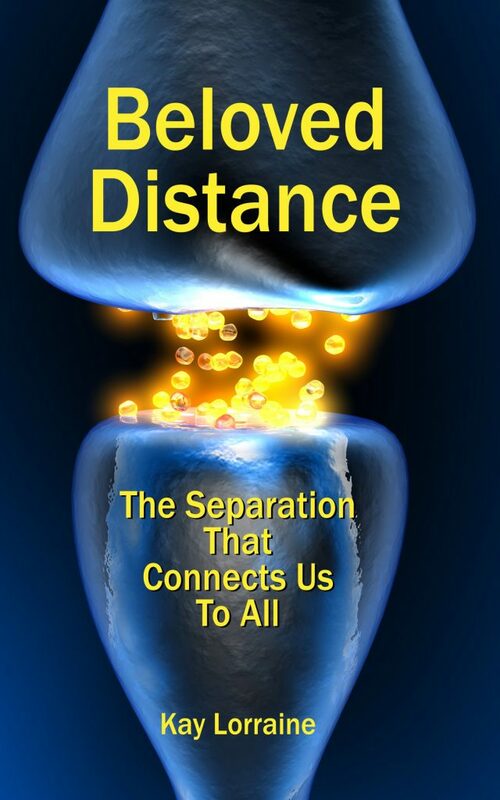 It’s like we’re neurons that think we’re cut off from each other, when we’re actually in close communication and interaction, every living moment of our lives. It’s like we think we can actually function as a species, by pushing others away and cutting ourselves off. We were both still in our pajamas, and it wasn’t practical for us both to get dressed and rush out the door, so I slipped on my shoes, grab my coat and hat, and drove off in search of a good vantage point. There’s a high hill near our home where you can get great views of sunsets and moonsets. So I headed in that direction. Careful, careful, down the twisty, windy roads… careful, careful, in the morning commute time. Apparently, I wasn’t the only one with that in mind, either. The road, which is a secondary route that doesn’t see much traffic even during rush hour, had a line of cars all driving fast in the direction I was headed. It definitely wasn’t in the direction of work, and I suspected that the other drivers were just like me — realizing at the last minute that we couldn’t see the eclipse from our cozy home vantage points… determined to get up to the ridge for one last look at this awesome eclipse. As we motored up the road, we would slow down a little bit at spots where we could see a glimpse of the moon. All we really wanted was to get one last good look — get maybe a picture or two and really enjoy the historic sight. After all, if something happens just once every 152 years, it’s worth enjoying as best you can. In my mind’s eye I could see lots of other people out on the road at just that moment, looking for the perfect space space to watch the moon make its final dramatic descent… all of us looking to the same point in the distance, some 225,000 miles away, a common point of focus for hundreds of thousands, maybe even millions of people all at the same time time. This is the thing the distance can give us – a shared vantage point that’s far away, which has such a close and intimate association for so many of us. I don’t know anyone who dislikes the moon, and I can’t think of anyone who doesn’t enjoy the silvery wash of full moon light on a cold winter’s night. And come to think of it, the very reason that the moon can shine her light, is because she really is so far away from the sun. Being that far away, the moon isn’t occluded by the earth or other celestial bodies (except on special occasions like yesterday). Being over 200,000 miles away from the earth, and over 93 million miles away from the sun, the moon is far enough away to not get toasted to a crips by the sun’s heat, but it’s close enough to bathe our planet in light at night. It’s far enough away to be seen by billions of people, and close enough to be observed with the naked eye. And now that the moon is waning (she’s 98.6% waning gibbous), and we settle into the next month of the new year, I wish us all enough distance to get some healthy perspective on life, and enough nearness to let us see our way through. You know those days, when you’ve been going full-speed ahead for a week, and then you realize that you’ve got all of the absolutely, positively, critical, non-optional tasks out of the way? That’s where I am, today. After nearly a week of traveling, then chasing deadlines on Friday, running errands yesterday morning, followed by an effervescent all-afternoon/evening event, and a long drive home after dark, it’s finally sinking in that today requires very little of me. It gives me time to think. About things that I haven’t been able to think about as deeply as I’d like. You know… work and all. Seriously, researching and writing books that have very little to do (directly) with your day job is a singular experience. Unique. And solitary. Because when you leave it all on the field after every day at work, you’ve gotta find a way to dig deep and come up with the motivation (and the moxy) to create something very different from what dominates your daily life. Maybe your daytime colleagues are interested in the kinds of ideas that light your fire in off-hours. Maybe they’re not. Maybe people who get paid to work in the field(s) you venture into out of love and all-consuming passion notice you’re there. Maybe they don’t. In any case, it doesn’t matter much in the grand scheme of things — it really can’t — because what matters in the end is The Work. And the ways that the Work builds out and shapes your life in ways that no day-job, no official title, and no amount of professional acclaim ever could. That being said, here I am at the nexus of my passionate interests, lingering road-weariness, and a full day to do with as I please. Sweet. In a way, the weariness is useful. It keeps me focused. It keeps me from allowing my attention to wander too far afield. I don’t have a lot of bandwidth today, and my free hours are sufficiently precious to me to compel me to make the most of them. Monday is just around the corner. What can I do with myself and my ideas before then? Oh, I know! Let’s talk about who’s gonna care about this book, Beloved Distance. I was at a friend’s birthday part, yesterday afternoon, and I mentioned the book to a handful of people there. I never really know if other people are nearly as fascinated as I am about the intersection of science and the-rest-of-life, but it turns out, I was in good company. I had some great conversations with people who are concerned about the ever-widening schism between science and spirituality, and who don’t think there should be one. Now, when we talk about spirituality, that can cover territory from devout Catholicism to Sufism to cross-quarter ritualizing Paganism. It can even extend to agnostics or atheists who feel a connection to something bigger than themselves that they don’t want to personalize. “Spirituality” has become a very useful catch-all for people to connect with one another on a metaphysical level, without getting dragged into dogma. Of course, the “spirituality” moniker has its drawbacks — it can become a little too fuzzy, and it can be used to justify some actually harmful practices. Co-opting indigenous ceremonies and marketing them to high-priced clients craving a spiritual experience isn’t just questionable from a “spiritual ethics” point of view. It can also be downright dangerous. In only one example why it’s important to “keep it local”, certain Amazonian hallucinogenic ceremonies have a very practical reason for requiring strict diets before drinking the magic elixir that makes you vomit into that plastic trash can: some ceremonies can actually deplete necessary neurotransmitters, and dietary restrictions help offset the potential harm. Let me return to the line of reasoning I started with — namely, who’s interested in Beloved Distance. And why. The folks at the birthday party hailed from all walks of life. A construction contractor had a great conversation with an acupuncturist. And a freelance photographer and artist who supports herself caring for children spent a while talking to a technologist. A nationally syndicated radio show host chatted with a woman studying to become a wildlife rescuer. And an office manager for multiple programs at a nearby university caught up with a workshop facilitator who’s house-sitting for friends for the month of February. Each one of them had a perspective very different from my own — big distance there. And yet, each shared a desire — a need — a longing — for connection. All of us were keenly aware of our differences, and yet those differences drew us that much closer to one another, as we looked for points of contact, avenues that let us merge in meaningful ways. See, here’s the thing — our human differences are often dramatic. Our politics, our money situations, our personal lives often stand in pronounced contrast to so many others around us, even our closest friends. We know we’re separate. And yet, that doesn’t stop us from actually finding ways that we can bridge the distance between each other and blend into the middle, creating a separate sort of dynamic that’s greater than the sum of each party. And knowing that our time to connect was short yesterday, we all made the most of it. We didn’t mince words. We cut to the chase. We asked the questions you don’t normally ask in “polite” company. We answered the questions just as candidly as they were asked. We brought up subjects that we often couldn’t outside our intimate sphere. We settled the occasional argument with a mix of patience and exasperation, but always some element of letting each other just… be. And in the end, each of us left that evening well-fed in many ways. Yes, we shared food. Yes, we had tea and cider and kombucha and coffee. Yes, we ate birthday cake (well, most of us, anyway) and enjoyed the candy that had flown out of the smashed piñata. And we also got fed in ways that went far beyond the physical. As we split up and went our separate ways into the evening, that sense of fullness traveled with us. Across the miles, hours later, it still lingers. And so am I, now, as I settle into the rest of my afternoon. I have time to think, which is the most precious (and limited) commodity of my current life. May you have such a wonderful Sunday, if you’re reading this on such a day. Or, if it’s some other day, may you also find ways you can reduce the digital/electrical spikes and settle into knowing your own mind as only you can know it.